Whitening Procedure does not take longer than 15 minutes in and out. Each whitening session is only 2 minutes long. 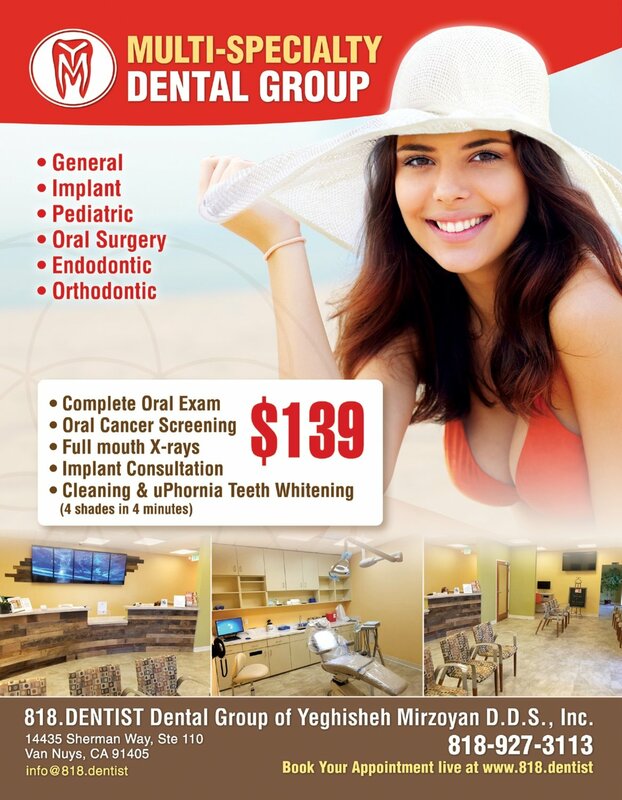 *If you fill out our online Patient Registration and Medical History forms found online at www.818.dentist/e-services.html you will be instantly credited $20 towards any treatment, as a sign of our appreciation to you for helping our effort to become a fully paperless dental office. *Must redeem voucher within 3 months of purchase date.